EghtesadOnline: North Korean leader Kim Jong Un said the breakdown in talks with the United States has raised the risks of reviving tensions and he is only interested in meeting US President Donald Trump again if the United States comes with the right attitude, state media KCNA said on Saturday. 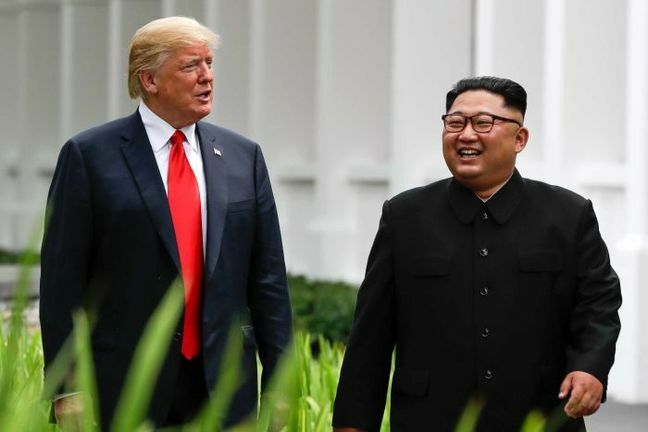 “It is essential for the US to quit its current calculation method and approach us with a new one,” Kim said in a speech to the Supreme People’s Assembly on Friday, Reuters reported. Trump and Kim have met twice, in Hanoi in February and Singapore in June, building goodwill but failing to agree on a deal to lift sanctions in exchange for North Korea abandoning its nuclear and missile programs, according to Financial Tribune.